Few years back when I had started reviewing I never had imagined the wonderful books I would be getting to review in future. Every time I see an author request for review or hold a new book in my hand I beam. For I see the effort that goes behind that book, the number of hours spent typing away, imagining, creating this story, drafting, re-drafting and then of course the long process of getting it published. The hard work shows in those crispy pages that I turn and begin my journey with the author. 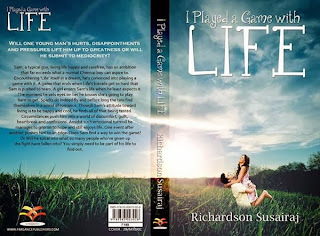 Will one young man’s hurts, disappointments and pressures lift him up to greatness or will he submit to mediocrity? After spending a few years reading international and regional novels, he has ventured into the next stage of his life namely that of an author. 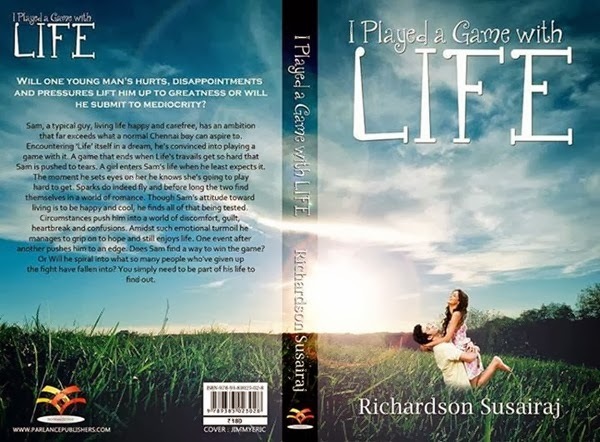 Having received his Bachelors in Computer Scienece, Richard is presently working as a technical writer in a software company. P.S: The author has sent a personalized message with this book which actually makes the reader feel very special. Thanks so much for this one! Love and relationships as a genre is something I really enjoy reading as well as writing in my blogs. When the author approached me for this book I did not even give it a second thought as I knew I wanted to read this. Who wouldn’t after such a pretty cover page? I love reading books with pretty cover pages. I began reading the book half expecting the same college drama, couple falling in love, differences, break ups and then ofcourse finally happys-the-endings. But then the author proved me wrong. For though the premise looks very run-of-the-mill types make no mistake. It is anything but a common story being retold by someone else. Rather it is an uncommon story never before told, waiting to be heard by each one of us. I loved the lead characters and the way author has described them he has made them come alive before your eyes. You can feel their pain, their hurt, love and anger. You cry with them, laugh with them, are afraid when they fight and will rejoice when they are smiling in life. You witness family values, ethics, morals, love, friendship, enmity and a lot more in those pages beautifully expressed by the author. Moreover the most appreciable part is where he has described the female protagonist’s dilemma so nicely making you wonder if it written by a female author. Beautifully written and I must say for a debut novel this has been well written. Though there are a few places where the story seems a bit stretched in between otherwise the narrative is gripping enough to make you want to complete the whole story in one go. 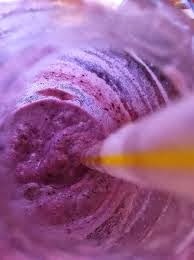 Blueberry Slush – Delicious, tangy, sweet – leaves a nice taste in your mouth long after you have finished it.